How many of you have thought about a private island or really staying in a lighthouse? Not a rugged lighthouse like in “Eye of the Needle” or “Vertigo,” but one that has been historically restored to perfection on the outside, with every modern luxurious amenity on the inside. The Inn at Cuckolds Lighthouse makes this dream a reality. During 1892, the fog signal station and keeper’s house had $25,000 appropriated to construct a building that could stand up to the heavy storms. In 1907, a light tower was added and that increased visibility to 13 miles. In the late 90s, keeping up lighthouses was becoming an expensive challenge for the Federal government, when a tower could replace them. With persuasion, she said, “We don’t necessarily need to go through with this deal, it is just a letter of intent.” So 48 hours before the deadline, the 542-page application was filed in August 2004. In June 2006, they were granted the deed. Now came the work. They had to deal with seven Federal agencies, State agencies, and Local agencies, all with different requirements. In addition, they had to follow a list of historical guidelines, Coast Guard guidelines, etc., as well as recruit volunteers and raise funds. This included local residents and newcomers, regional businesses and amazing support. It enabled plans for restoring the light towers, rebuilding the keeper’s house and boathouse to historical specs with modern materials and techniques. It has taken ten years, but they are now ready. Reingold and Yasinski kept the their focus on restoring and building the project to be sustainable. This approach will ensure that Cuckolds generates its own revenue in the future. A fund for maintaining and sustaining the property. 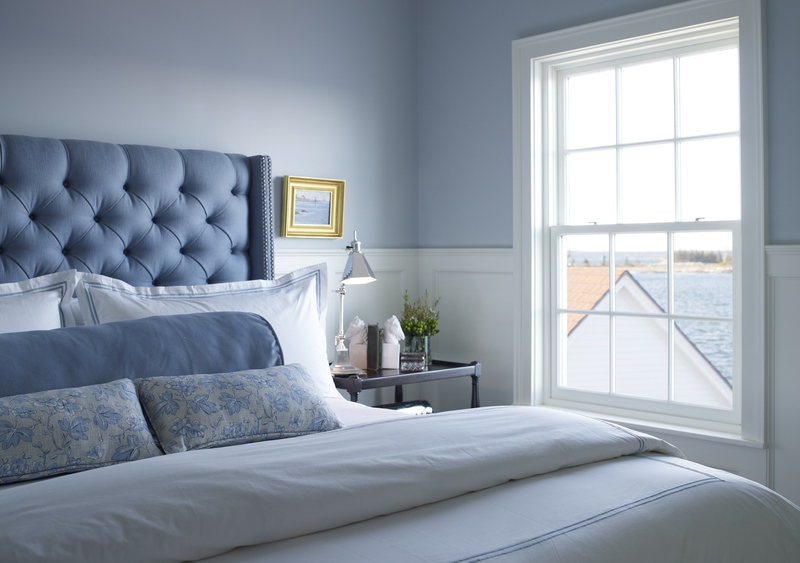 The Inn at Cuckolds Lighthouse is scheduled to open June 27, 2014. It will be seasonal and remain open until October 15. Inside radiant heating is in the floors, so your feet will stay toasty on those cool Maine mornings. Yes, you will have WiFi and flat screen TV. I can envision curling up with a book, as I hear the wind blowing and waves crashing on the rocks. There are two suites, each with a sitting room and bath. One suite does have a couch that pulls out, so you could sleep six if necessary. Guests will enjoy a delicious breakfast and high tea in the afternoon. If you want dinner catered in, that can be arranged or the innkeepers will take you in the Inn’s launch into Boothbay. Barbara and Dan Aube reside on Cuckolds Island during the season in a small apartment in its lighthouse. Both hold Merchant Mariner Limited Masters Licenses and American Red Cross First Aid Certification. 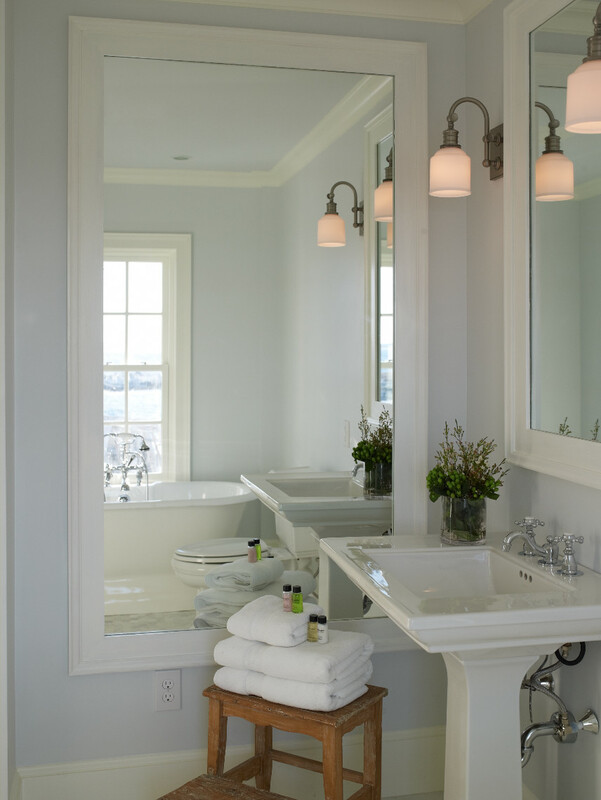 They love to cook and entertain, so they make ideal innkeepers to welcome guests to the Inn at Cuckolds Lighthouse. Guests are transported to the Inn by Coast Guard licensed Captains aboard a restored Navy motor whaleboat. The Inn at Cuckolds Lighthouse is located on a private island, one half-mile offshore from Southport Island’s Newagen Seaside Inn. The Newagen Seaside Inn is a 6-hour drive from New York, 3 hours from Boston, or 90 minutes from Portland. There are five moorings at Lighthouse. These will accommodate those arriving by private yachts up to 180 feet in length. Guests may wish to relax on their own private island, but others may want to explore. Your innkeepers can take you into Boothbay. This maritime village has harbor cruises, lobster bakes, deep-sea fishing, or sailing on a local schooner. 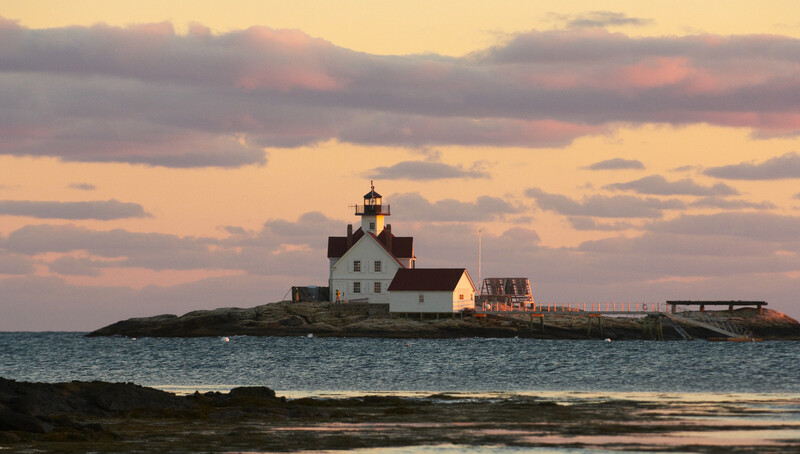 In addition, it features some of the best sea kayaking, nature trails, golf, and the Coastal Maine Botanical Gardens. The Railway Village and Antique Auto Museum is always popular, as well as professional and summer stock at the Opera House and two playhouses. Shoppers, you are not left out. Boothbay is home to plenty of boutiques, art galleries and specialty stores that feature locally crafted goods, fashions, books, and naturally, nautical home décor. 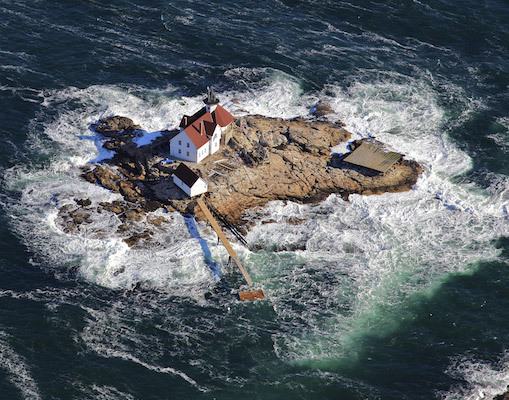 What if you have more than six people but want to use The Inn at Cuckolds Lighthouse? Because this will be such a great gathering spot for corporate meetings, family gatherings, lobster-bakes, or just get-togethers of friends or associates, I would use the Newagen Seaside Inn for the overflow. If you have a private helicopter and want to use the helipad later this year or early next year? Check with Janet Reingold or Philip Yasinski to see what the cost would be to restore the helipad to meet today’s requirements. Then, make a tax deductible contribution. How come I’m featuring somewhere I’ve not experienced myself? As you know, Luxe Beat Magazine prides itself on our journalists having visited the destinations we feature. It’s impossible to experience something not yet open. In my case, I lived in New England for twenty-two years and made many trips to nearby areas. In the past five years, I’ve visited this area of Maine at least five times. I know some of the individuals involved in this project, as well as the quality of materials that were used in restoration. For example, to name just one, Harbor Master Windows, a division of Anderson, were donated and used throughout. Another reason is that I simply have always been partial to lighthouses and I’m delighted that one will be restored and open to the public. Plus, I felt our readers would like to be the first to know about this exciting new private escape. I would be very interested in hearing your feedback on this type of article. Photography Courtesy of Darren Setlow and Bob Mitchell. 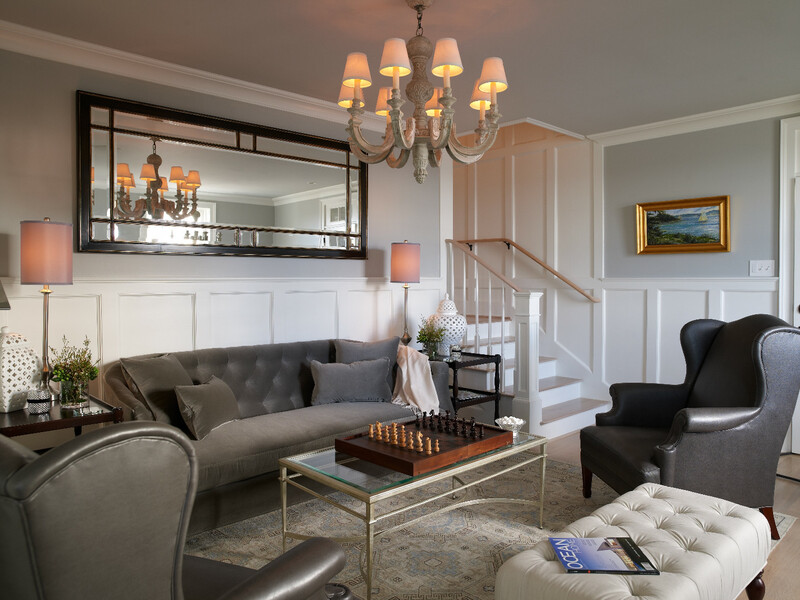 To read the Luxe Beat Magazine version of this article click on the title The Inn At Cuckolds Lighthouse.